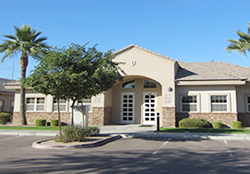 We are full service architects in Phoenix, AZ assisting commercial, healthcare, government and industrial clients throughout the United States. From concept to completion, we design, calculate and engineer, while our experience and resources allow us to precisely deliver on job, on time, and on budget. Operating for more than 20 years, we’ve had a wide range of opportunities. While we enjoy almost any type of architecture, we have ultimately found that when we focus on a few specialized areas, we’re able to provide a much higher level of service at a lower cost to customers.